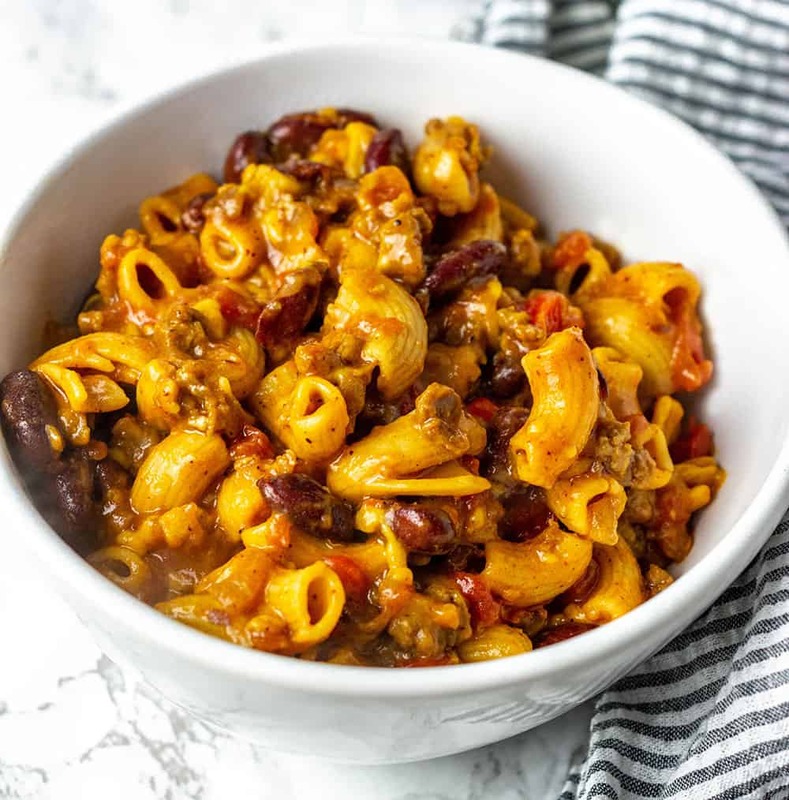 This Instant Pot Vegan Chili Mac And Cheese is the best one-pot comfort dish ever, it is warming and flavorful, elbow pasta, kidney beans, onion, garlic, bell pepper, spices cooked in flavorful broth, finished off with vegan shredded cheese. So hearty and satisfying. So I decided to cook pasta in my Instant Pot, I have been seeing recipes with Instant Pot pasta online so I decided to jump on the bandwagon and make a mac and cheese recipe in my Instant Pot. I was really impressed by the results. I decided to do a very flavorful dish in case the pasta didn't turn out right at least the dish would be very tasty and dinner would not be ruined. The results were amazing! 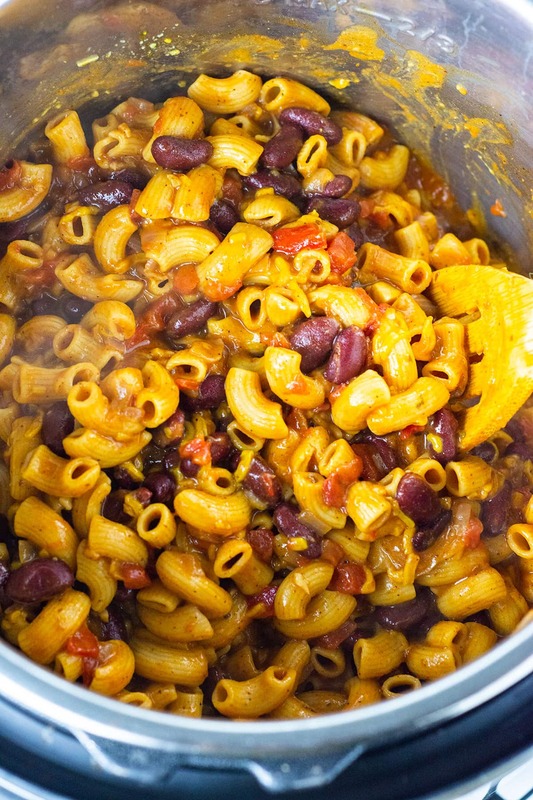 Like my other one-pot recipes, Vegan Mac And Cheese, Vegan Rasta Pasta, One Pot Taco Spaghetti, Sweet Potato Mac And Cheese. 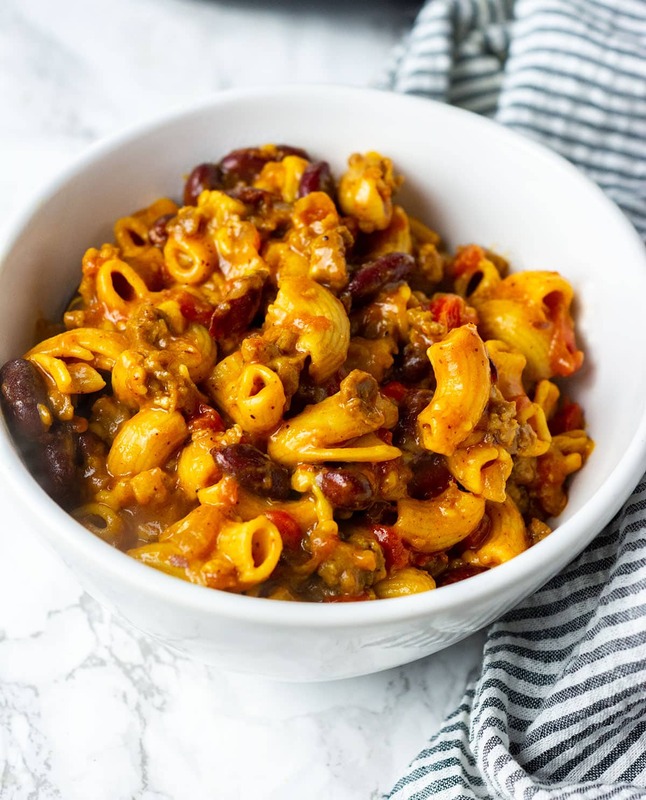 this Chili Mac And Cheese is now my new favorite pasta recipe. The pasta was not overcooked but was 'Aldente', just right, not to mention the taste, so much flavor was going on, my family devoured it. Add diced tomatoes, tomato paste, kidney beans, pasta, vegetable broth. 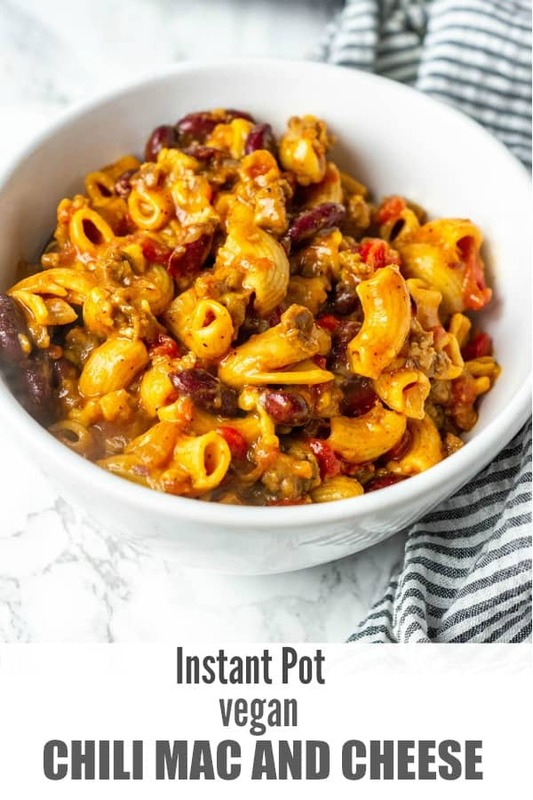 Switch Instant Pot to the Off button, close the lid and place on sealing. Press the Manual mode and pressure cook for 4 minutes. Quick release by turning the valve to venting, place a damp kitchen towel over the knob. After all the steam has been released and you are able to open the lid. 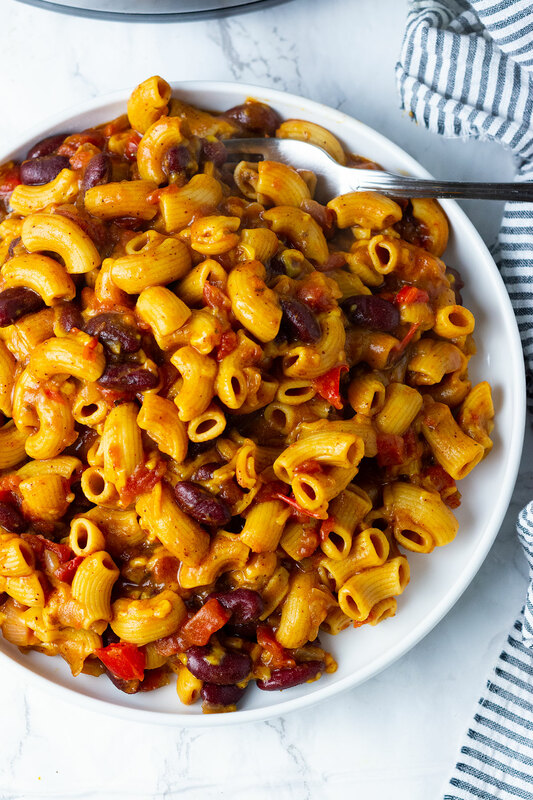 stir in vegan cheese shreds and adjust taste. I used ' Chickpea Pasta it is gluten-free and high protein. My favorite vegan shreds are Follow Your Heart Vegan Shreds. 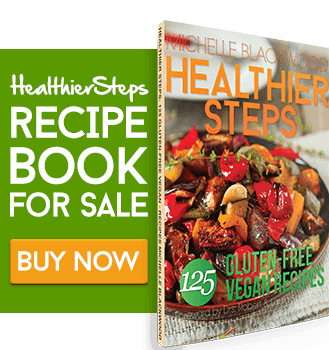 If you make these Gluten-Free Vegan Banana Muffins, snap a photo and hashtag #healthiersteps — we love to see your recipes on Instagram, Facebook & Twitter! Thank you for a great recipe. Could you advise on timing adjustment if whole wheat pasta is used? Also silly question, but when referring to pasta in the recipe, this is the uncooked pasta correct? It’s just that 4 minutes seem very short to cook pasta. Thank you in advance for your response. You are welcome Vicky, yes it is uncooked pasta. Remember, I used an Instant Pot/Pressure Cooker for my recipe so 4 minutes is perfectly fine. 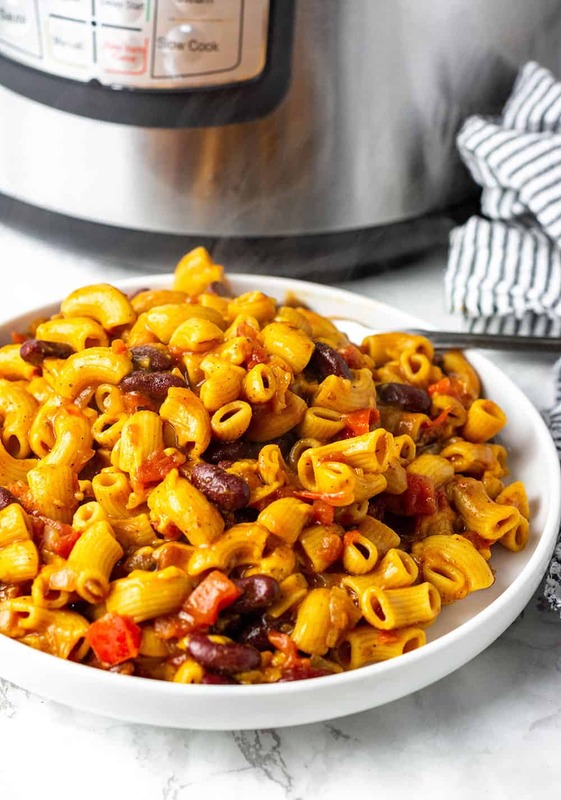 If you are using the stovetop to cook your whole wheat pasta then it can take you anywhere from 7-9 minutes, however, it will take you 3-5 minutes in a pressure cooker/Instant Pot. I hope this helps. First time making this and it was a winner! I’m the only vegan in the house but my husband and boys loved it!! Thanks for sharing it. 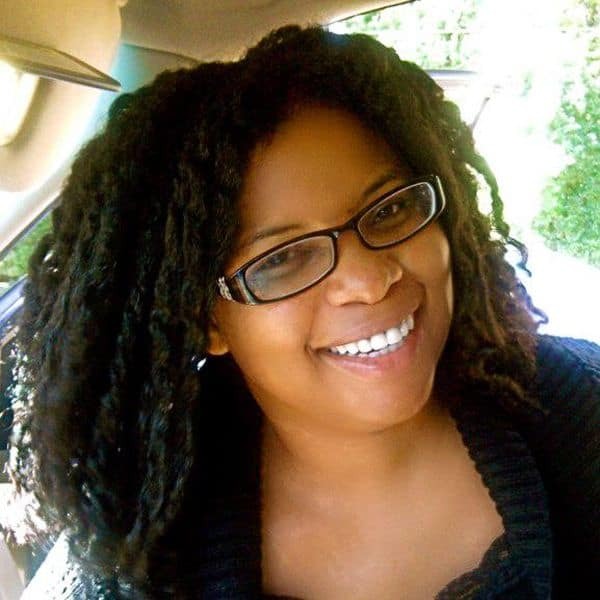 Stacia, I’m happy you and your family enjoyed it, thank you for sharing your feedback. This is the second time have made it and it was a home run at the house. 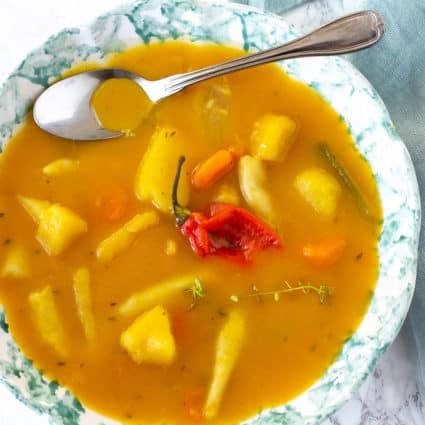 Thanks for posting this recipe. That’s so good to know that you and your family loved it, thank you for your feedback! Oh man, this was delicate! I don’t have an I staple so I just made it on the stove. I used TVP instead of crumbles. I will definitely make this again. The spices were perfect. I’m so happy you enjoyed it Wendy.